Francis Albert G. Guerrero, M.D. 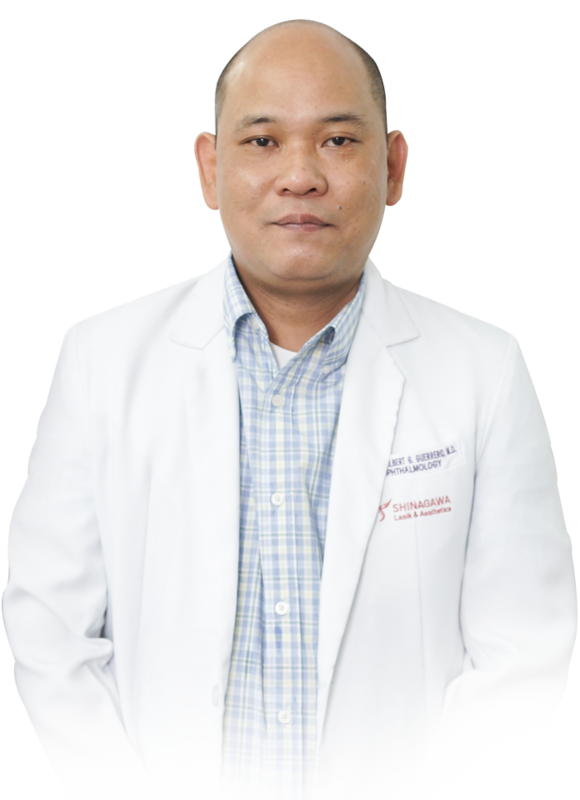 The Medical Director in Shinagawa’s Ortigas branch, Dr. Francis Albert Guerrero, M.D. is a highly-skilled Ophthalmologist who comprehensively underwent Refractive Surgery training at the Institute of Refractive Surgery after completing his medical studies at the University of Santo Tomas. With over 20 years of experience, Dr. Guerrero is a seasoned-veteran when it comes to eye services, providing world-class proficiency in performing Shinagawa’s eye services on a daily basis. Practicing LASIK, Cataract and other Refractive Eye Surgeries is most certainly his forte. He is certified by Shinagawa to perform FS Intralase, the Ziemer Femto LDV – Z LASIK and is proficient in performing Avedro Crosslinking.